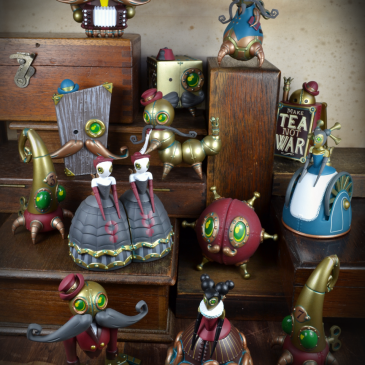 UK based Doktor A has his goggles focused in on his solo show at myplasticheart titled “A Postcard from New Yorkshire”. 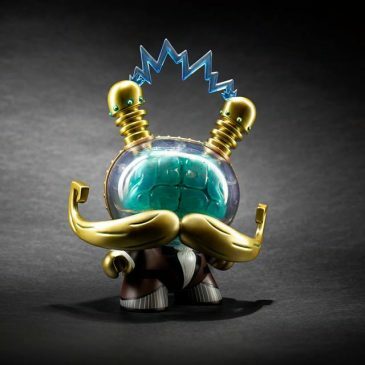 Doktor A’s Ironclad Decimator Dunny is alive in 8-inches and two editions: KR exclusive Regular edition and wholesale exclusive Mecha Rupture. Limited to only 600 of each, both drop September 6.